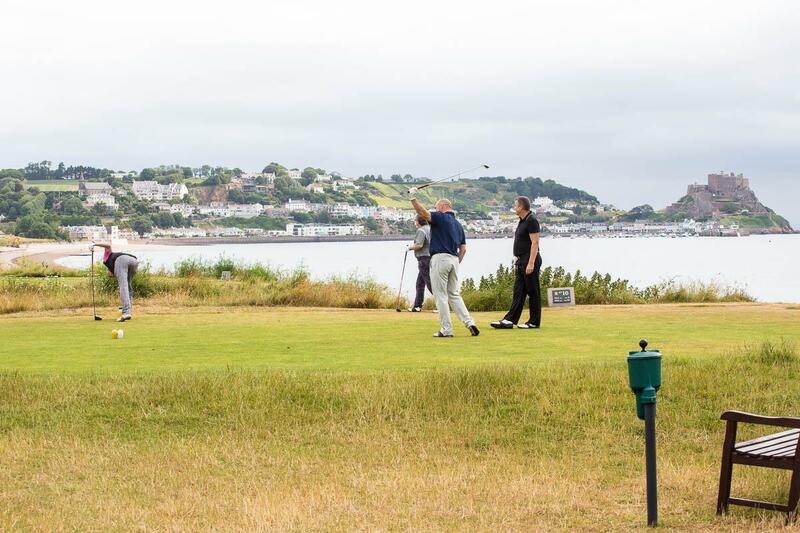 The venue for this year's competition Royal Jersey Golf Club is situated in the Royal Bay of Grouville and overlooked by Mont Orgueil Castle. 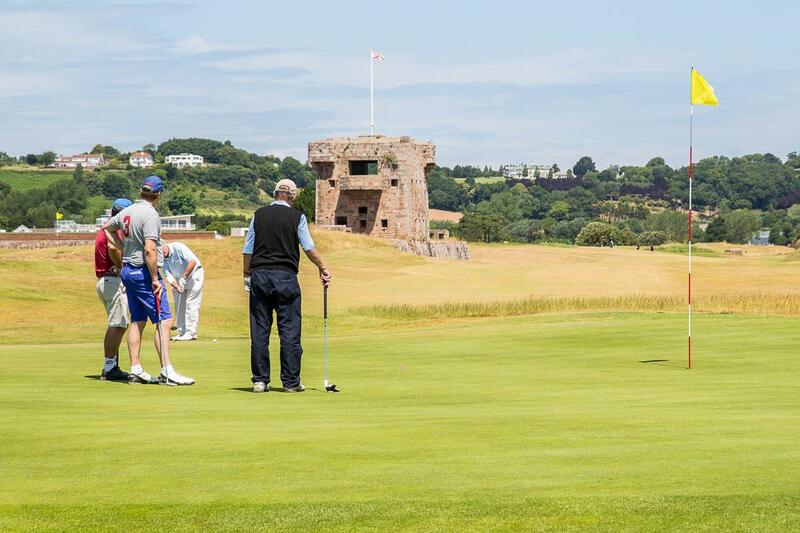 It is also home to the Rotary Club of Jersey's annual charity golf day and hosted the Hampshire County Championship in the spring of 2017. This links course, where the legendary Harry Vardon learnt to play (see below), will provide an enjoyable round for all golf enthusiasts. And, when the golf is not so good, the views from most holes are spectacular! Bob Marshall is organising the event and tee times have been reserved for the afternoon of Thursday 12th October. David Aubrey Team Trophy and Broomfield Pairs Trophy. The expected green fee will be around £60 per person and more details can be obtained from Bob Marshall by email. 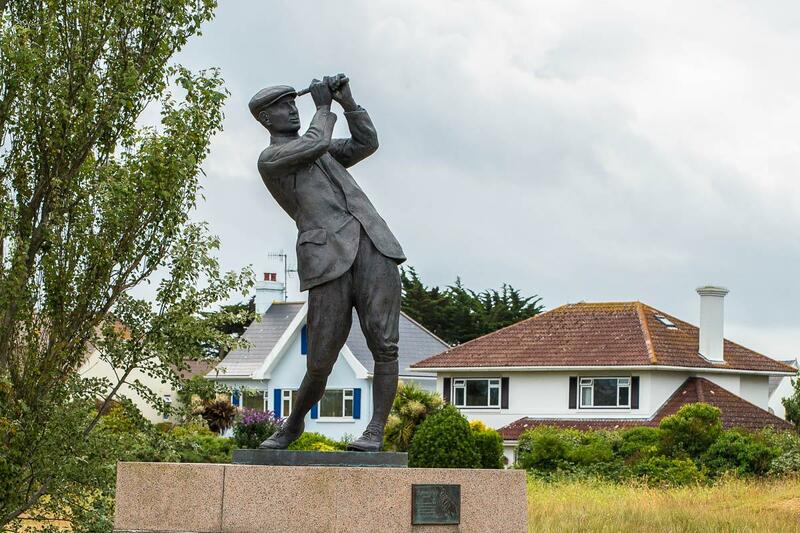 The Club was formed in 1878 when a small number of local residents decided to lay out a small course on the land that is known as Grouville Common. The rules and regulations of the Club were approved at the first meeting of the Club in the December of that year. The Club received its Royal warrant in 1879 from Her Majesty Queen Victoria. The Club continued to flourish in the early years moving to the present clubhouse in 1908, following a number of venues including the 'Golf Inn' now the Pembroke Hotel, behind the 16th tee. During the two world wars golf was suspended and, the course in WW2, was turned into a mine field when the Germans occupied the Channel Islands. The remnants of the German invasion can be seen along the opening hole where two gun emplacements are situated. The course has gone through many changes in its history and the present layout has been in existence for approximately 20 years. Jersey, and in particular the Royal Jersey, has a rich history of players coming from the Island. The most famous is, of course, Harry Vardon arguably the greatest ever English golfer. His haul of six Open Championship wins is still a record to this day. His two US Open Championships means he is one of only three Englishmen to have achieved this feat. The other two are Ted Ray, another Jersey man who was also the first ever Ryder Cup Captain; and Tony Jacklin, who lived in the Island for many years in the 1970's. Vardon and Ray were part of a group of professional golfers who were known as the 'Jersey School'. They sprang from the Caddies Competitions run by the Committee of the Club. These men learned to play the game on the course but were not actually members. Apart from Harry Vardon and Ted Ray there were Harry's brother Tom; William, John and Phillip Gaudin all of which placed in Open Championships; the Renoufs and Audrey Boomer. The first ever International Match was England v Scotland, and the English team fielded no fewer that four Jersey men, all from Grouville. Other notable players with links to the Club - Tommy Horton was the Head Professional at the Club for 25 years, a Ryder Cup Player (1975 &77), Captain of the PGA and 5 times European Seniors Award of Merit winner; Carol Le Feuvre, an amateur golfer, played in the Curtis Cup in the early seventies; Martin Gates, a European Tour player for eight years and more recently Olivia-Jordan-Higgins who is currently playing on the LPGA Symetra Tour and recorded her first victory in July 2013. For more information on the course follow this link.